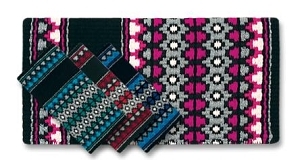 Mayatex Saddle Blankets and Saddle Pads. 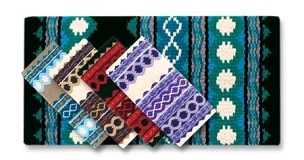 Mayatex is a well known manufacturer of extremely durable and high quality wool saddle blankets and pads. 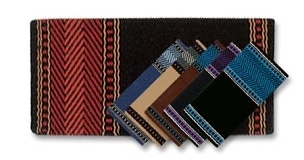 You will see some specific brands of saddle pads that use the wool tops that Mayatex manufacturers. 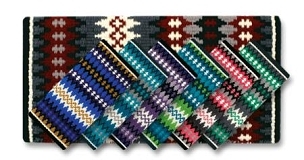 These saddle blankets are a great way to buy one or two good pads and then just throw your different wool saddle blankets over the top to change the color of your pad. 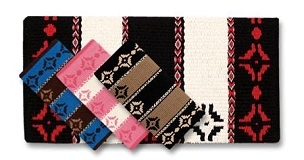 We also have extra long saddle blankets to where you can fold them and they are great for using under your pads as well. 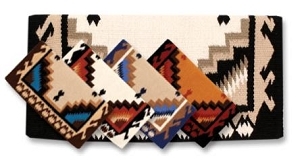 There are many different uses for these great saddle blankets. 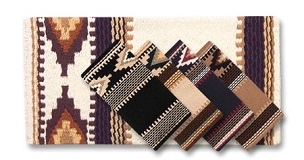 We are sure that you will find your perfect use of these good quality saddle blankets.